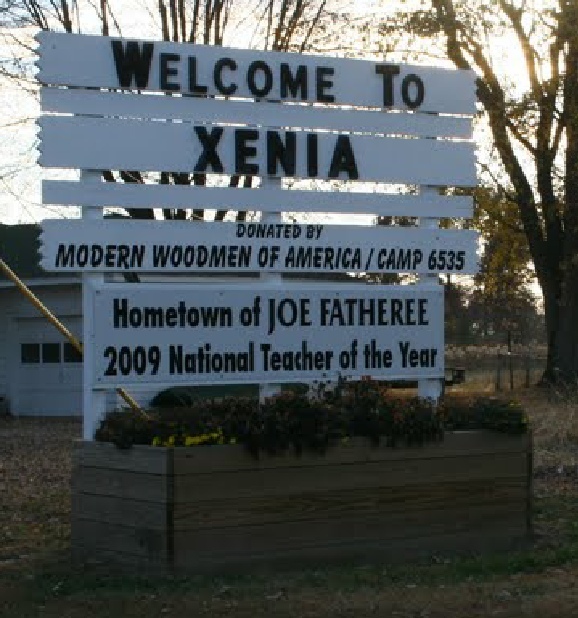 Xenia Township is one of 12 townships making up Clay County in Illinois. Its major settlement is the village of Xenia. The village center has actually shifted since it was first laid out in 1834. It moved southward from the old State road once the Baltimore and Ohio Southwestern Railway arrived in 1854. Businesses were established on Front Street but many stores were gutted by a fire in 1903 and had to be rebuilt. The former center near the old State road is now known as Upper Town. By 1880 the population of the township had grown to over 1,400 but by 2010 it had fallen to 658. Xenia held its sesqui-centennial celebrations in August 1984. It is also famed for its Annual ‘Fish Fry’ celebrations. This website, still in the very early stages of development, aims to provide information on present day Xenia as well as Xenia of yesteryear. Please let us know what you would like to see included. Did you know that there used to be another Xenia in Illinois? Xenia in Clay County was laid out in 1834 and Xenia in Logan County was laid out in 1853. The latter was called Xenia at the suggestion of some of earlier settlers who had arrived from Xenia, Ohio. When Logan County’s Xenia discovered that Clay County’s Xenia had prior claims to the name, Xenia in Logan County was renamed Atlanta effective from February 14, 1855. Xenia is the largest small town in the world. It has three churches and a good school. It owns its own light plant, two telephone exchanges, and a number of other enterprises of which we may be proud. Even owns its own tractor.